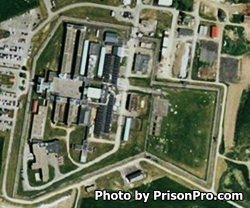 Coxsackie Correctional Facility is located in Greene County New York. It is a maximum security correctional facility that houses adult males. The maximum capacity at this prison is 1,074 inmates. Offenders can receive alcohol and substance abuse treatment if they suffer from addiction, and can attend classes to receive an adult basic education and GED. Coxsackie Correctional Facility offers inmates vocational training in computers, building and custodial maintenance, culinary arts, electrical, masonry, plumbing and heating, welding, printing, and painting. Additionally, this facility participates in the Correctional Industries and is responsible for running a garment shop that employs select inmates. Visiting occurs on Mondays through Fridays from 9am-3pm, and on rotating weekend schedule from 9am-3pm. The weekend rotating schedule is based on the first letter of the inmate's last name, you will need to contact the facility for the current weekend rotation. All visitors must arrive by 2:25pm as this is when visitor processing ends. Offenders are allowed four visitors at a time on the weekdays, and two visitors per session on the weekend (children under three years old are not counted).